American Airlines released a statement announcing it will end its codeshare agreement with Qatar Airways and Etihad Airways as of March 24, 2018. Find out the implications including myths and facts on this announcement on travellers and the airline. Scheduling – Participating airlines will be able to add to their route network without operating additional flights. This creates more options for passengers booking flights based on their schedule needs. Additionally, scheduled flight departure times can be coordinated to ensure that there are no significant overlaps and maximize onward connection opportunities. Revenue sharing – Depending on the terms of the agreement, partners can sell all the flight options under their own ticket stock and participate in revenue sharing based on how the ticket is structured. 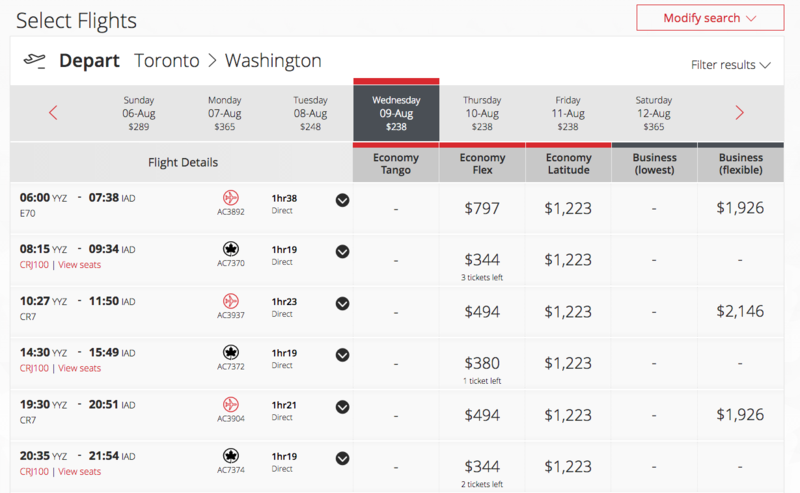 In the example below, travellers checking from YYZ > IAD flights will be shown all six options operated by both Air Canada Express and United Express partners. Pricing can also be coordinated in the same manner depending on the route pairs and markets. Barrier of entry – Airlines use the combined schedule resulted from codesharing as a method to improve marketshare and back new entrants from starting new flights on the same city pairs. For example, Korean Air Lines (KL) has a one-off codesharing arrangement with American Airlines on the Seoul Incheon Airport (ICN) to Dallas-Fort Worth International Airport (DFW) route (Related News – Route Management-Dallas to Seoul American Airlines Korean Air Lines). Frequent flyer benefits – Based on the frequent flyer program, elite qualifying miles (EQM), segment (EQS) and dollars (EQD) can be earned if the flight has their loyalty program’s code. For example, American Airlines AAdvantage members can only earn EQM, EQS and EQD on selected Etihad Airways (EY) flights if the ticket is purchased with AA flights numbers. Airport coordination – It is easier for codeshare partners to schedule and share resources such as ground crews, lounges and information technology at the airport based on their flights. How Does The American Airlines Change Affect Travellers? American Airlines does not have an extensive codeshare arrangement with both Qatar Airways or Etihad Airways. The codeshares are for selective flights originated from Doha’s Hamad International Airport (DOH)(for the first) and Abu Dhabi International Airport (AUH) (for the latter) to key European (AA operated markets) and Asian (located in the Middle East and India) destinations. The airline also codeshares on non-stop flights to the U.S. from these Middle Eastern hubs. This arrangement allows American Airlines to sell tickets without operating their fleet and obtain passenger feeds from these two cities. With the codesharing agreement ending in March 2018, the airline will no longer place its code on any Qatar Airways and Etihad Airways flights. However, travellers will still be able to buy the tickets including selected flights with these two airlines on aa.com (for example, Doha (DOH) to Philadelphia (PHL) operated by Qatar Airways is now sold on aa.com as AA7950. In the future, it will be sold as QR 727). 1. Elite qualification Substantial – Etihad Airways’ flights ticketed and flown by American Airlines AAdvantage members will only earn award miles on and after March 24, 2018. This would have substantial impact on those using these flights to qualify for their elite status. Note that Qatar Airways is a fellow oneworld alliance member. Flights operated by them will continue to earn both elite qualifying miles/segments/dollars and award miles after the change but will be at a different rate. Flyers on affected routes operated by Etihad Airways can use oneworld alliance member Qatar Airways and British Airways (BA). 2. Lounge access None – Any previous lounge access agreements with Qatar Airways and Etihad Airways have not been changed. Note that American Airlines does not have any reciprocal lounge access for each other’s elite members currently. None required. 3. Redemption options None – Current redemption arrangements between American Airlines and Qatar Airways or Etihad Airways have not been changed. The latter would be at risk of elimination if cooperation ends completely prior to March 2018. As the high risk is on redeeming on Etihad Airways flights, travellers can hedge by making future bookings on that airline now. 5. Pricing Minimal to Substantial – Under the current arrangement, there may be pricing benefits built into different codeshare flights. These could be reduced or eliminated which could cause prices to go up. Travellers might want to price compare at different outlets before purchasing Qatar Airways or Etihad Airways to obtain the best prices possible. 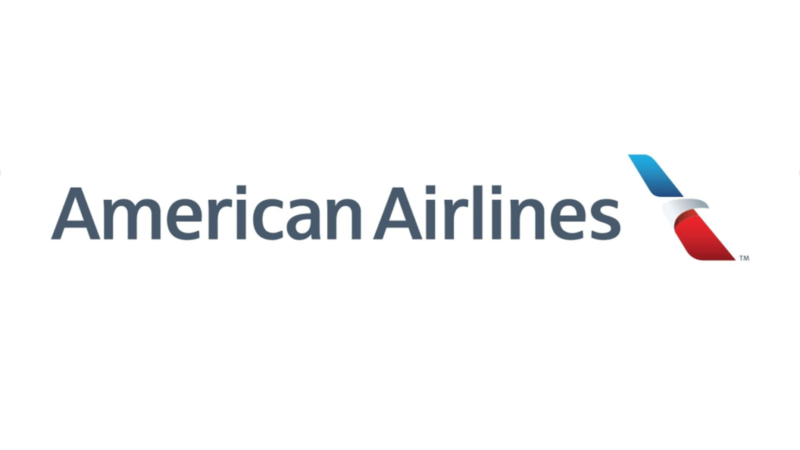 American Airlines will continue to have interline agreements with both airlines to ensure that traveller baggages will check through to their final destination. Additionally, the Dallas-Fort Worth headquartered airline already stated that the change will minimal impact to its financials going forward. This means its stock prices and revenue / profit projection will not be significantly impacted.